This trail is overseen by the California Department of Fish and Wildlife (DFW) and the Bureau of Land Management (BLM), Ukiah Office. Camping is allowed on the trail. Campfires require a valid fire permits from the DFW and the BLM. For the most current information on the trail's condition, closures, and fire restrictions contact the DFW and the BLM. From Yolo County, Woodland and Davis, take Highway 16 up through the Capay Valley. Stay on Highway 16 until it intersects with Highway 20. Turn left onto Highway 20 and follow it into Lake County until you cross over the bridge at the North Fork of Cache Creek. Look for the Cache Creek Management Area sign on the side of the road. Turn into the parking area there. 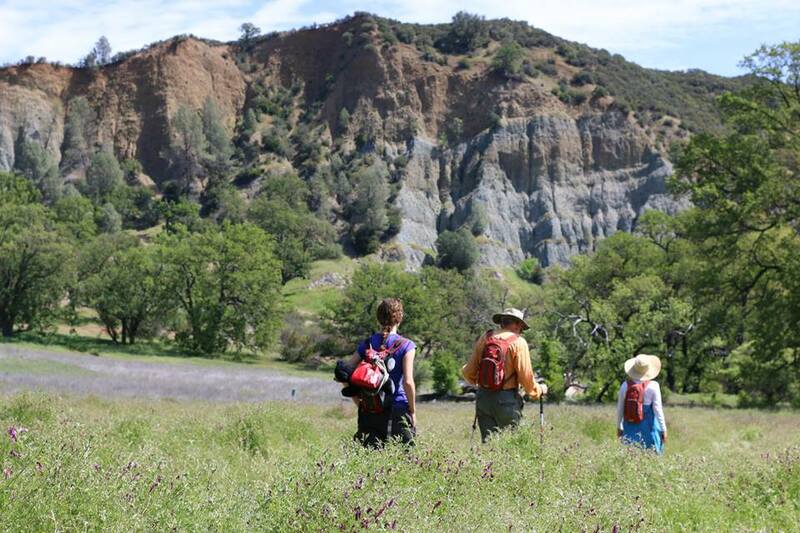 The Redbud Trail to Cache Creek is a terrific hike. Some up, some down, but nothing too strenuous. The trail winds up to the top of the ridge, where you get a fabulous view of the creek and Brushy Sky High mountain. Once you reach Baton Flat, the trail crosses the creek. The trail then heads to the Wilson valley. Wilson Valley is a remote valley that is home to a sub-herd of Tule Elk. During certain times of the year you may find newborn calves among the herd. The area used to be closed during the calving season, but it’s now open year-round. The trail along the ridge is gorgeous, as you walk through blue oak woodland on your way down to the creek. Along the way, you will see Box Elder, Valley Oak, Arroyo and Sandbar Willow, California Grape, California Wild Rose, and Cottonwood along with a vibrant array of wildflowers in the spring. This is an area where Black Bears may also be seen.